Thanks. A image from rating a video game on the Nintendo Europe site.. Wallpaper and background images in the Nintendo club tagged: nintendo thanks for rating thanks europe video game. 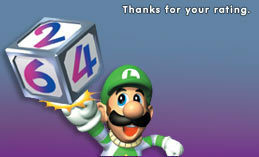 A image from rating a video game on the Nintendo Europe site.